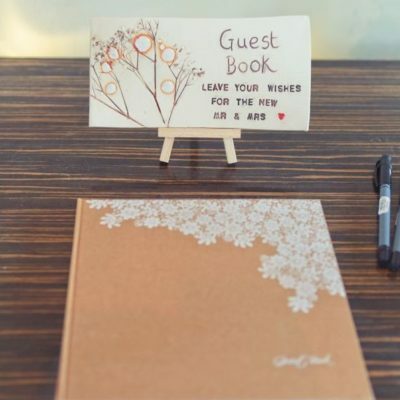 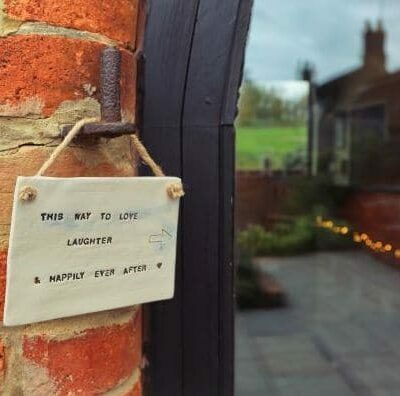 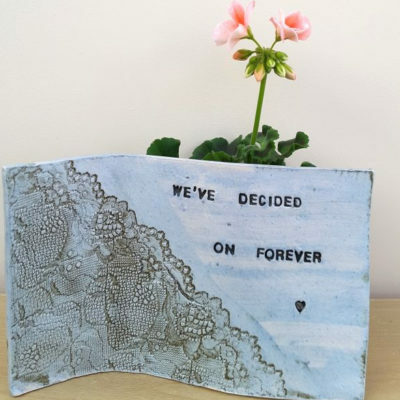 Little ceramic signs dotted around your wedding venue make beautiful little hidden gems, and when spotted by guests they can’t help but smile! 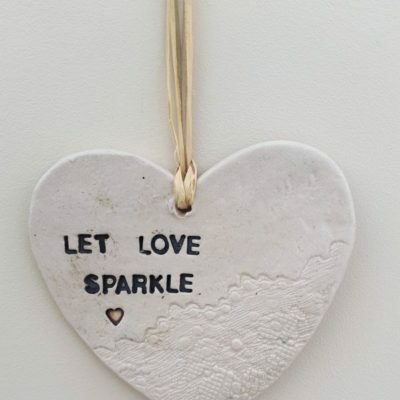 Any wording, names or dates can be included on any shaped sign, whether it be a heart, square, rectangle, leaf, diamond or any other shape. 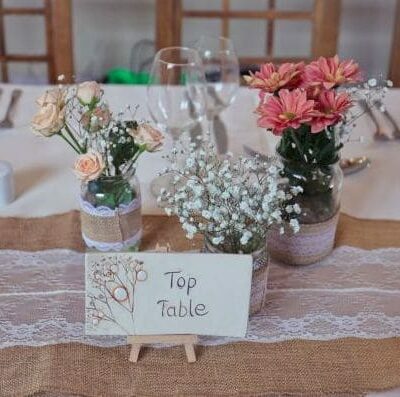 The signs can be stood on little wooden easels, or hung with ribbon or rustic rope. 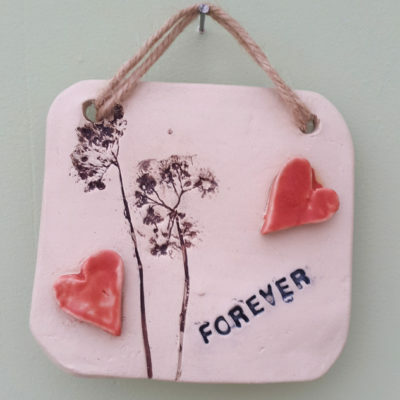 Please let me know if you require a sign for hanging when ordering, so that the holes are made before firing. 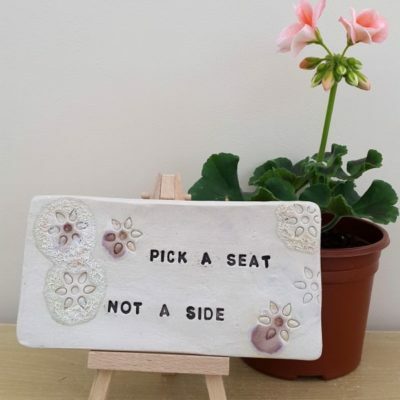 The price for each sign to be handmade depends on it’s size and amount of detail included. 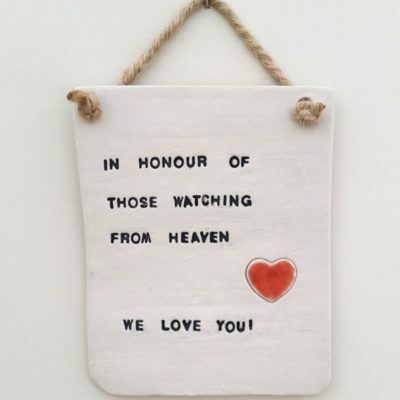 Prices start from just £10, and discounts are offered for multiple signs made.